SIOUX FALLS, S.D. — Police say a 56-year-old man ran into a burning building twice, despite orders from police and firefighters for him to stop. Police and firefighters arrived at an apartment building fire along Spring Avenue just after 12:30 p.m. Sunday. 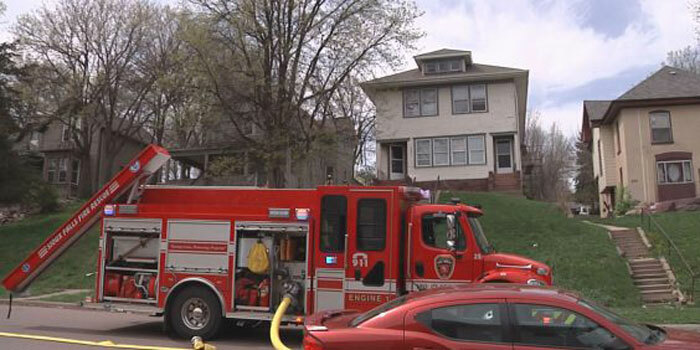 Two people were treated for smoke inhalation, a third was taken to a local hospital. With crews at the scene,a public information officer said that Michael Casteel ignored a police officer when he ran back into the building. According to police, he came back out and went back into the building. While inside, firefighters repeatedly told Casteel to leave. When he came back out again, police said that he was carrying two cans of Bud Ice beer. Casteel’s blood alcohol content was 0.082 and was arrested for obstructing firefighters and violating the 24/7 sobriety program.